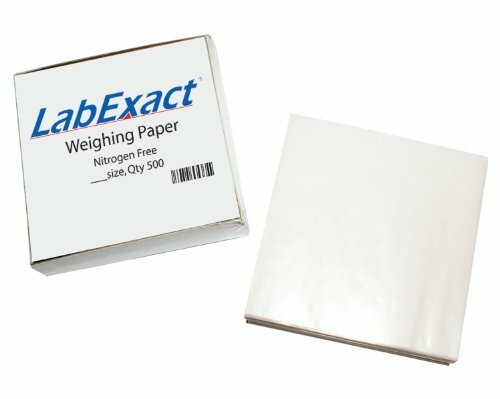 LabExact W33 cellulose weighing paper is used to convey powders or gelatinous paste samples to and from balances and other laboratory equipment. The surface is highly calendered (non-treated gloss) to a smoothness which resists sample hold or moisture absorption. The high-gloss, milk-white paper is semi-opaque, non-absorbent, and nitrogen-free. It resists tearing during quadrant folding or enveloping, and increases abrasion durability during spatula scraping. Material chemistries are verified against a standard prior to the paper-making process, ensuring lot-to-lot reproducibility. Other applications for this paper include using as slip sheets between samples or slides or liners within containers, short-term exposure as a moisture barrier, or for laminating backing for structural support. 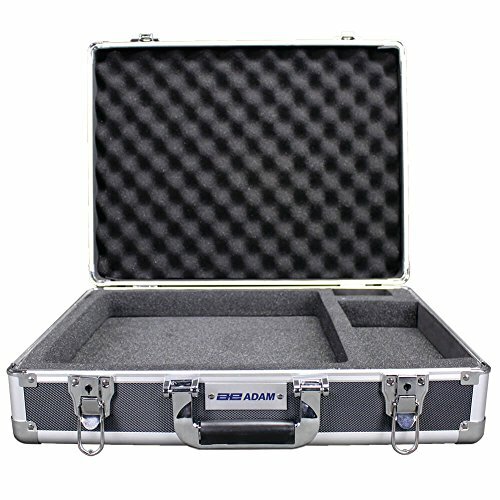 The Adam Equipment hard carry case is a protective case with a lock, for protecting a scale during transport or storage. The corners of the case are reinforced with stainless steel, and the interior has a foam insert to cushion the scale. The case is an accessory for use with the Adam Equipment CPWplus scale, which is used to measure the weight of an object. The CPWplus scale platform size is 300 x 300 mm. 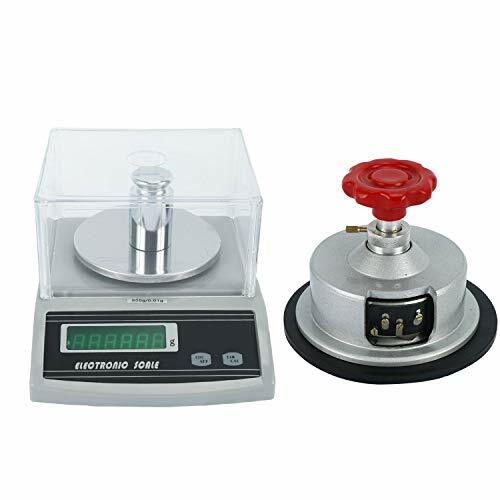 Adam Equipment manufactures balances, scales, and related accessories for laboratory, educational, industrial, retail, and medical applications. The company, which was founded in the United Kingdom in 1972 and has an office in Danbury, CT, meets International Organization for Standardization (ISO) 9001:2008 standards.  Polystyrene, Weigh Boats are sturdy, lightweight and an inexpensive way to contain your supplements. Weighing Dishes are disposable, food safe and made of anti-static material to reduce foreign particle contamination. Flexes for easy pouring at every corner. Biologically inert; resistant to dilute acids, aqueous solutions, alcohols and bases. Can be used with balances, microwave moisture analyzers and hundreds of other sample handling applications. 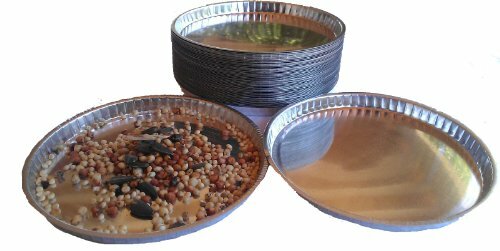 PACK OF 125 SQUARE MEDIUM WEIGHING DISHES. Food Safe, Polystyrene Weigh Boats are a lightweight and inexpensive way to contain your supplements. Sturdy, Flat Bottom Resists Tipping. Flexible Easy Pour at Every Corner. Disposable for Quick Clean Up. 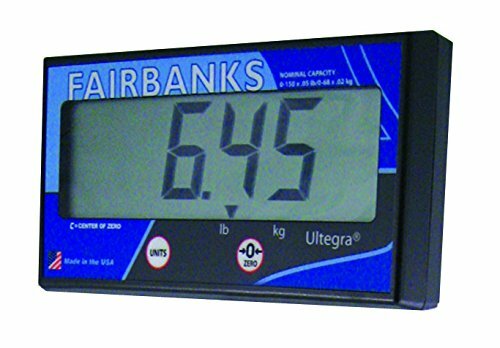 Uniform Shape & Weight for Accurate Measurements & Stacking. 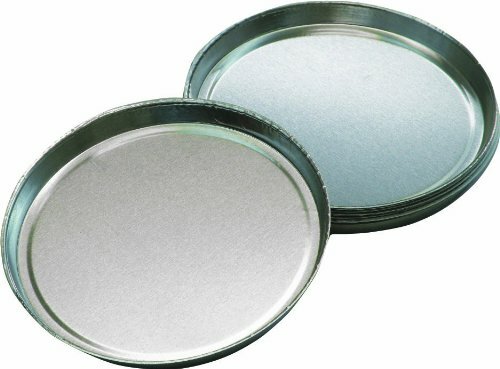 Antistatic, Smooth, Non-stick Surface Prevents Sample Loss. WEIGHING BOAT MEASUREMENTS: 89 x 89 x 25 mm (3.5 x 3.5 x 1). TEMPERATURE RANGE: -25 (-13 F ) to 80 (176 F). CAPACITY: 100ml. Biologically inert and resistant to dilute and weak acids, aqueous solutions, alcohols, and bases. 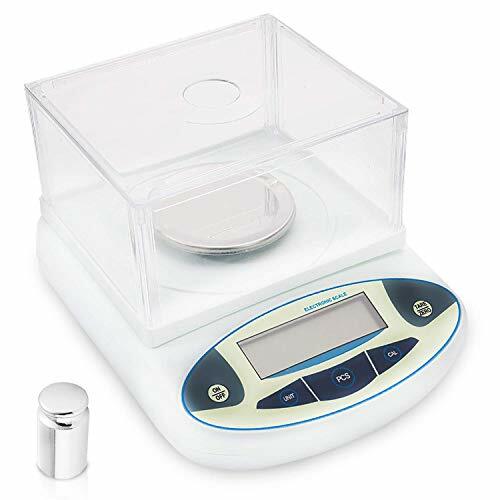 Weighing Dishes are perfect for measuring powders and liquids. They also work great for art projects, jewelry making and much more! 100% SATISFACTION: Your happiness is our top priority! If you're not completely satisfied with your Weigh Boats contact us for a full refund! LabExact W66 cellulose weighing paper is used to convey powders or gelatinous paste samples to and from balances and other laboratory equipment. The surface is highly calendered (non-treated gloss) to a smoothness which resists sample hold or moisture absorption. The high-gloss, milk-white paper is semi-opaque, non-absorbent, and nitrogen-free. It resists tearing during quadrant folding or enveloping, and increases abrasion durability during spatula scraping. Material chemistries are verified against a standard prior to the paper-making process, ensuring lot-to-lot reproducibility. Other applications for this paper include using as slip sheets between samples or slides or liners within containers, short-term exposure as a moisture barrier, or for laminating backing for structural support. LabExact W44 cellulose weighing paper is used to convey powders or gelatinous paste samples to and from balances and other laboratory equipment. The surface is highly calendered (non-treated gloss) to a smoothness which resists sample hold or moisture absorption. The high-gloss, milk-white paper is semi-opaque, non-absorbent, and nitrogen-free. It resists tearing during quadrant folding or enveloping, and increases abrasion durability during spatula scraping. Material chemistries are verified against a standard prior to the paper-making process, ensuring lot-to-lot reproducibility. 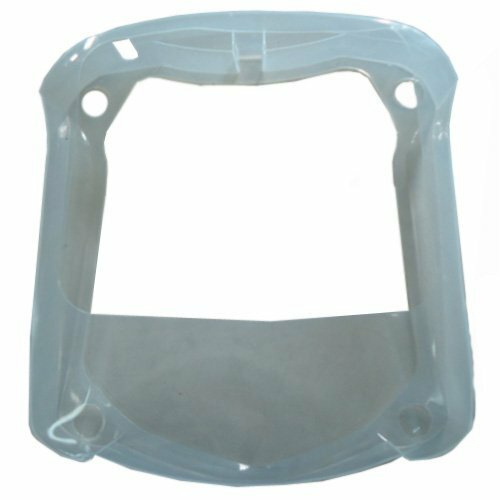 Other applications for this paper include using as slip sheets between samples or slides or liners within containers, short-term exposure as a moisture barrier, or for laminating backing for structural support. 2.The quality of the substance shall not exceed the weighing range. 3.If the weighing is not accurate, use the standard weight to calibrate the balance. 4.If you need to take the balance weighing,please rotate it in clockwise first.DON"T pull it up directly,so as not to damage the senor. 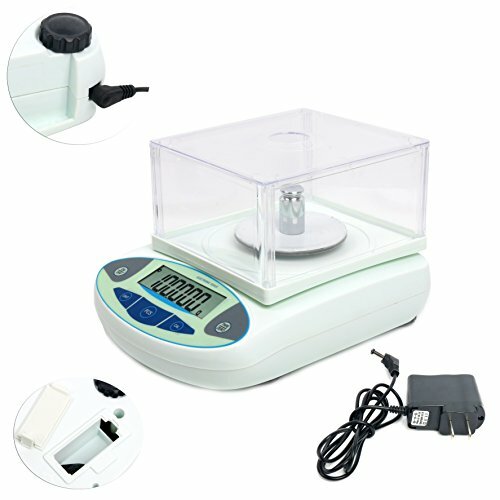 Digital calculation balance adopt High stability sensor and single chip microcomputer. It can put off the tare weights,self-correcting, memory, counting and fault display. This scale has high accuracy of weighing,fast and stable,easy to operate and has a complete functions. The sample weight means the weight of the sample you cut with the disc Cutter. thickness steel chassis, anticorrosive paint. 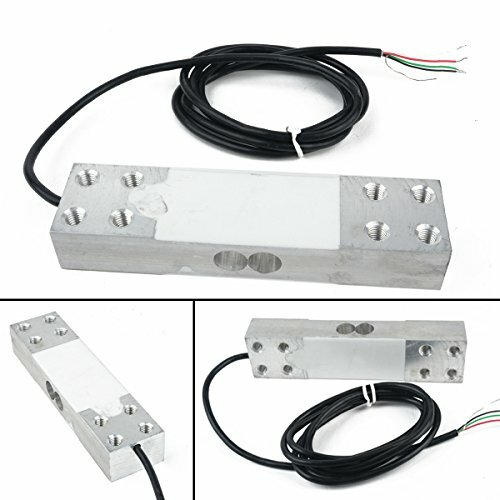 Chassis has high quality sensor screws, corrosion resistance. Antiskid tooth chassis, Aluminum alloy material,Wear-resistant and not rusty. Antiskid tooth can better grasp the cloth. Communicate and control with the use of these outputs and relay kits. Sartorius Style - Measures 101mm diameter x 8mm high - Standard dimensions / Oil Free, Light Gauge Aluminum with Flanged, crimped sidewall - Manufactured Exclusively for Nevada WeighingTM - Fits all moisture analyzers that use 90 mm (9 CM) size pans / dishes. Sartorius Style Fits Moisture Analyzers such as Ohaus, Mettler, Intell-Lab, Adam, Sartorius, CSC, etc. 50 Dishes Per Box. Clean, oil free. Disposable. 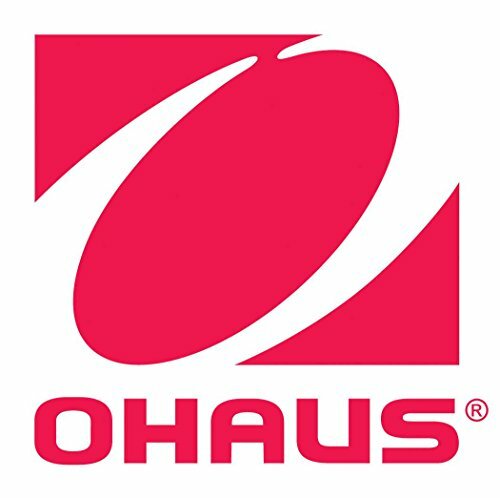 The Ohaus temperature calibration kit is used to correct the temperature settings on Ohaus MB series moisture analyzers when the standard settings no longer produce repeatable results, such as when the heating element in the moisture analyzer becomes dirty. 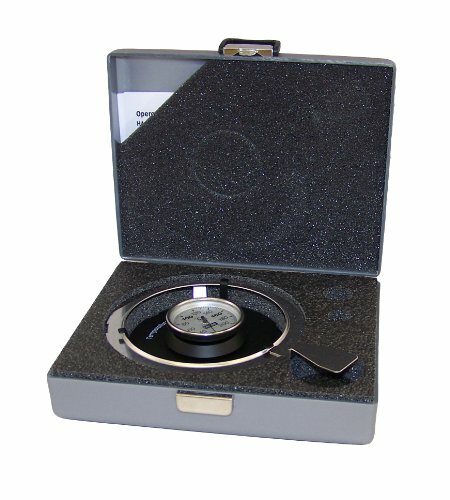 The temperature calibration kit is housed in a latched, hinged case, made from durable ABS plastic. The kit includes an adjustment disc with a precision thermometer and a sample-pan handler. The Ohaus temperature calibration kit is an accessory for use with Ohaus MB23, MB25, MB35, or MB45 moisture analyzers, which measure the precise moisture content in a material sample by using a halogen heat source to dry a sample. The calibration kit measures 2 x 7 x 5.5 inches (H x W x D) when the case is closed. (H is height, the vertical distance from lowest to highest point; W is width, the horizontal distance from left to right; D is depth, the horizontal distance from front to back.) When used according to manufacturer's recommendations, this product is covered by a 90-day warranty against defects in workmanship or materials. 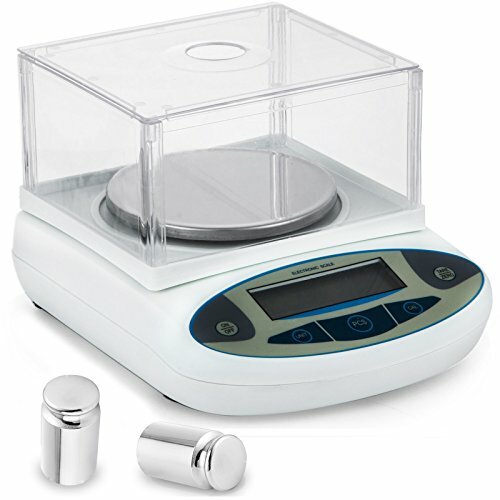 Ohaus manufactures scales and balances for laboratory, educational, retail, food, and jewelry applications. The company, which was founded in 1914, is headquartered in Parsippany, NJ. The Adam Equipment disposable sample pans are round, aluminum pans for holding samples on a moisture analyzer. The sample pans are accessories that are used with the Adam Equipment PMB Moisture Analyzer, which is used to measure the moisture content of an object. Pan diameter is 90 mm. Pack includes 250 sample pans. 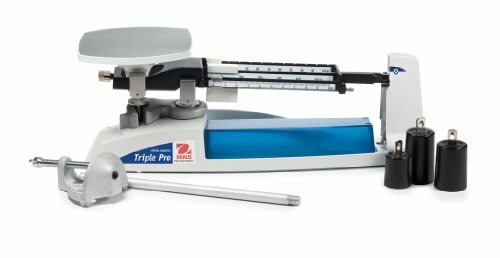 The Ohaus TP2611 Triple Pro mechanical triple beam balance has a capacity of 2610g and an accuracy of 0.1g (also called readability). The balance is operated by positioning the 10g, 500g, and 100g sliding weights (also called riders or poises) along the three notched, tiered beams. It has a spring-loaded tare adjustment to prevent accidental changes to the setting and obtain precise results, and a rod and clamp assembly for below-balance weighing to determine specific gravity. The built-in storage lock secures moving pieces to prevent damage during transport and storage, and an integrated security slot for locks and cables safeguards the balance from unauthorized use or theft. A covered compartment at the base of the balance stores the included three-piece mass set when not in use. The stainless steel weighing pan resists corrosion from spills of most sample materials. The balance is manufactured to ISO 9001:2000 standards and, when used according to manufacturer s recommendations, it is covered by a 10-year warranty against defects in workmanship or materials. Specifications Maximum capacity 2610g Readability 0.1g Weight of scale 3 lb Units of measurement Gram (g) Weighing pan, W x D 14.73 x 14.73cm Balance dimensions H x W x D 22.86 x 50.8 x 15.24cm Front beam configuration 10g poise, 0.1g increments Middle beam configuration 500g poise, 100g increments Rear beam configuration 100g poise, 10g increments Mass configurations (1) 500 g, (2) 1kg H is height, the vertical distance from the lowest to highest point; W is width, the horizontal distance from left to right; D is depth, the horizontal distance from front to back. Balances are measuring instruments used to determine the mass of an object, while scales are used to measure the weight of an object. The measurement results from balances are generally considered to be more precise compared to results from scales. Mechanical balances are the simplest type of balance, and use a lever and slide to indicate the measurement. Conventional balances are commonly used in offices, the jewelry industry, and in kitchens, and display results digitally, but are less precise than analytical balances. Analytical balances measure to a high degree of precision and accuracy (0.0001g or better), and display results digitally. These balances have a cover with doors to prevent dust and airflow from affecting the measurement. Moisture balances analyze moisture content in a material sample, using infrared or halogen heat sources to dry the sample and then calculate the moisture content from the before- and after-drying weight, and display results digitally, on the balance, or transfer the information for display on a computer. The Adam Equipment anti-vibration table for precision and analytical balances and scales provides a stable weighing environment, reducing the shock and vibration that can affect the accuracy of readings from sensitive machines. The table consists of two parts: an internal work surface with a scratch-resistant, polished marble slab mounted on an adjustable rubber base to absorb shock and vibration; and an outer table topped with epoxy-resin, that provides additional workspace. The frame is lightweight aluminum, and has adjustable feet that ensure level measurements and stability for weighing. 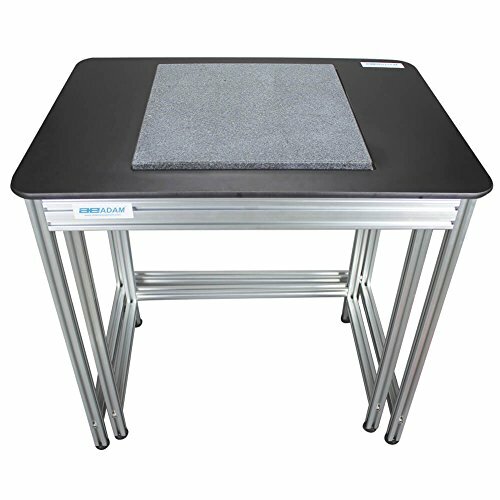 The Adam Equipment anti-vibration table for precision and analytical balances and scales provides a stable weighing environment that increases the accuracy of sensitive balances and scales. The inner work surface measures 450 x 400mm (W x D); the outer work surface measures 800 x 600mm (W x D); and the overall dimensions of the table are 782 x 800 x 600mm (H x W x D). (H is height, the vertical distance from lowest to highest point; W is width, the horizontal distance from left to right; D is depth, the horizontal distance from front to back.) The table weighs 77kg. Ohaus in-use cover for NV Navigator balances. Made in China. 1160957 Series product. Qty/ea: 1. Shimpo brand items. 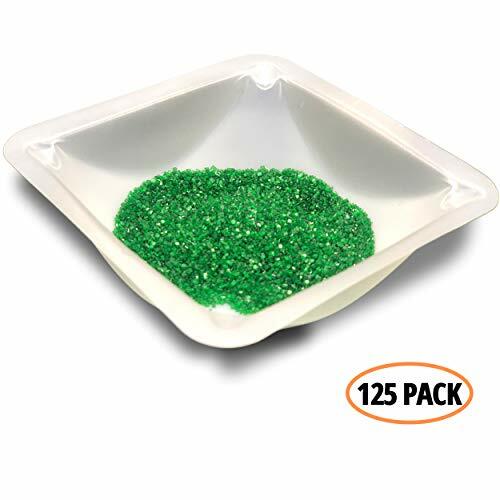 Use this kit with _your_ Electronic Carat Scale to measure the Specific Gravity of Gems and other small items. Please note that the Kit does not include the Scale, but this SG kit is "Universal" in that it is compatible with most any compact digital Carat scale. It is adjustable in 3 different dimensions for Scales of varying height, depth, and width. The Kit includes everything you need to measure Specific Gravity, except for the Scale and the Water. Note: There are two versions/sizes of this kit. Choose our "Bench Scale" version of the kit, instead, for use with larger, standard size Lab or Industrial scales (search SGK-B). This "Electronic Scale" method/device is the best overall for Specific Gravity measurement. It is very accurate, providing that the Scale you use it with is sensitive enough, while the measuring process is quick and easy, overall. As seen on YouTube, just weigh your sample in Air (which is the same as weighing it on the platform of your Scale), and then weigh the sample in Water. Then calculate SG by dividing the difference between the heavier Weight in Air and the lighter Weight in Water, into the Weight in Air. A simple Worksheet is provided for that purpose. Kit contains 3-way adjustable Beaker assembly, Weighing Pan assembly, Aluminum Stick reference weight (SG=2.70), Tweezers, Illustrated Instructions, Worksheets, and Table of Gems sorted by Specific Gravity. SG accuracy depends on Readability or Minimum Weight spec of the scale you use with the SG Kit. Rule of thumb is Readability x factor of 50, so a Scale with Readability of .01ct will give accurate SG on items weighing down to .5ct (.01 x 50).